We are a certified naturally grown produce farm that raises pastured chickens, a poultry farm that raises pastured pigs, a pig farm that makes artisan breads, and a bakery that grows hydroponic lettuce. 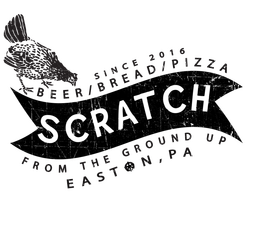 We’ve partnered with ShawneeCraft Brewery to open a farm-to-table eatery called Scratch. Located in the Easton Public Market, Scratch features wood-fired pizza, sourdough bread, and local craft beer. Our goal is to be the farm that factory farms use pictures of on labels to sell their products. In nature, everything works together in harmony and we have found that the same is true in agriculture.